"The web server process that was being debugged has been terminated by Internet Information Services (IIS). 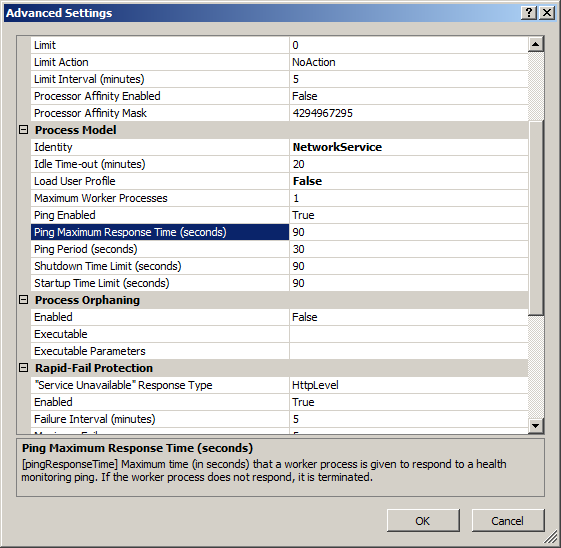 This can be avoided by configuring Application Pool ping setting in IIS. See help for further details." 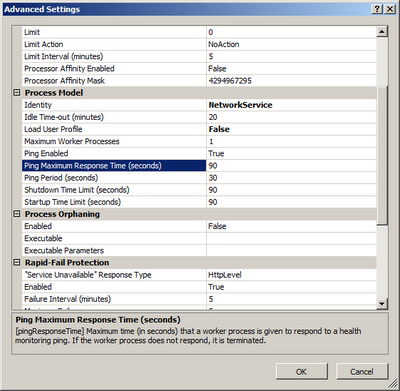 Try increasing the "Ping Maximum Response Time (seconds)" or turning off "Ping Enabled" entirely. Stack Overflow: Why does debugging keep timing out in IIS7?